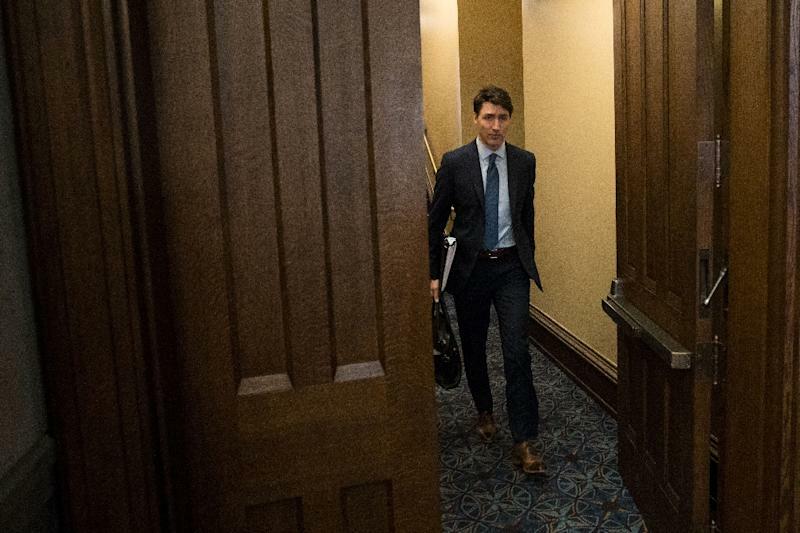 Ottawa (AFP) - Canada is looking to quickly bring over siblings of a Syrian refugee distraught over the loss of her seven children in a Halifax house fire, the prime minister said Thursday. "The immigration minister is seized with this particular case," Prime Minister Justin Trudeau said when asked if Ottawa would fast-track the immigration or asylum process to bring the woman's brothers to Canada in order to provide her with family support. The family was among tens of thousands of Syrian refugees welcomed by Canada over the past four years. "We're looking at what can be done within our (immigration and refugee) system to give this family a little solace in a time of unbelievable tragedy," Trudeau said during a trip to Halifax. Kawthar Barho, 30, and her family had fled the northern Syrian city of Raqa, where Islamic State militants had established their de facto capital. They settled in the Atlantic port city of Halifax in 2017. A video posted on social media showed a small crowd cheering their arrival at the airport. Neighbors said they heard an explosion in the middle of the night Tuesday before seeing flames ravage the family's two-storey house. Barho remains in hospital, and has been reportedly repeating the name of her youngest child, Abdullah, who was only four months old. Ahmed, 15, Rola, 12, Mohammed, 10, Ghala, 8, Hala, 4, and Rana, 3, also died in the blaze -- which police are continuing to investigate. Her husband Ebraheim suffered severe burns and is fighting for his life. Wednesday night, Trudeau attended a vigil in Halifax for the young victims. Officials would not comment on the specific case, citing strict privacy laws, but said Immigration Minister Ahmed Hussen has discretion to fast-track asylum or immigration cases, including security and medical screenings, in special circumstances. Locals have been grieving with the mother. "For the past year and a half, the children have been able to enjoy life as kids should be able to: going to school, riding bicycles, swimming, having friends, running in the yard, celebrating birthday parties and hanging out with the neighbors on their porch swing," the Heart Society, the non-profit group that sponsored the family, said in an online post. "They loved every minute of it, and it seems impossible we won't hear their laughter and feel their hugs again," it said. Millions of Syrians have fled years of civil war that have left more than 360,000 people dead.